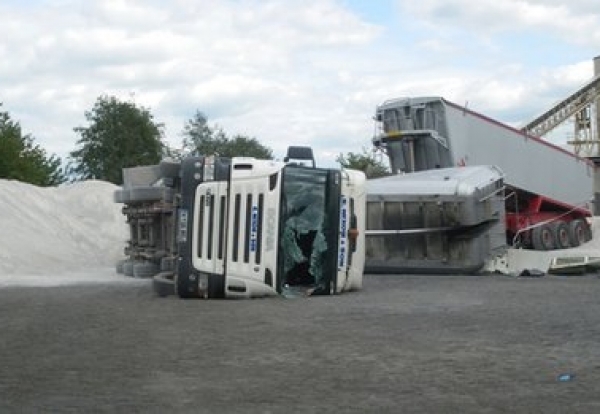 A concrete block manufacturer has been fined £100,000 after a worker was crushed to death when a tipper truck overturned. David Astley, 56, from Ellesmere Port was crushed when a trailer full of limestone dust fell on him at the Widnes plant as it was being emptied on 13 July. Block maker Plasmor (Halton) was prosecuted by the Health and Safety Executive after an investigation found the company failed to have a safety system in place for the delivery of raw materials, despite several tipper trucks coming onto the site every day. Liverpool Crown Court heard Astley was tipping the limestone on to the site when another driver arrived at the plant with a second load. The second driver was told to empty his truck in the same place but, as he lifted the trailer, it overturned and fell on top of Astley’s cab. The court was told the tipper trucks arriving on the site could weigh up to 44 tonnes and the risk of vehicles overturning is well known in the manufacturing and construction industry. Plasmor (Halton) in Knottingley was fined £100,000 and ordered to pay prosecution costs of £28,634 after pleading guilty to safety breaches. 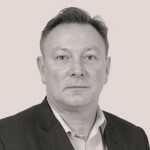 Commenting on the court hearing, Plasmor added: “In mitigation, the company stated that during the investigation into the accident, it was ascertained that the accident was caused by a number of factors; a puncture on the rear trailer of the overturning vehicle ,worn chassis pivots on the overturning vehicle, 66% of the load of Limestone remaining “hung “ in the tipper a the point where it was fully lifted and the 2.5% slope on the roadway where the overturning vehicle was tipping. “The HSE contended that although these factors caused the vehicle to overturn, the death of the driver in the other vehicle could have been avoided had the company been operating an exclusion zone in the tipping area to prohibit 2 vehicles tipping in close proximity.